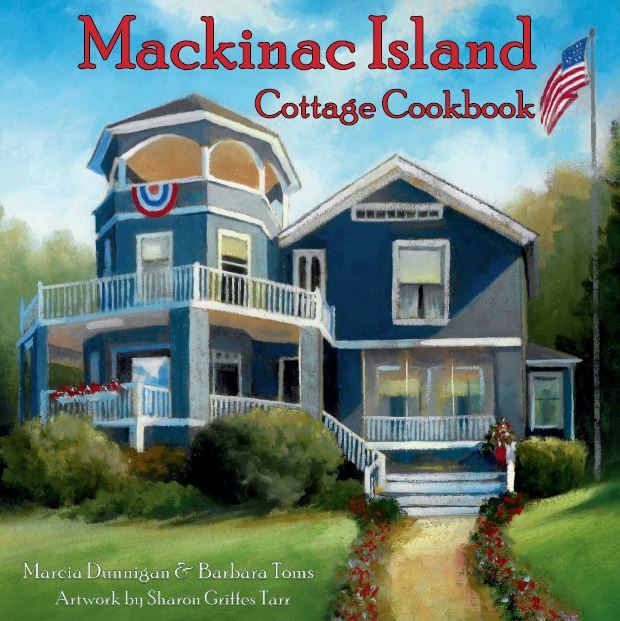 The Cottage Inn Mackinac Island is a charming bed and breakfast with gracious hosts. It is located on Market Street just a block from all the action on Main Street and close to many must-see attractions. 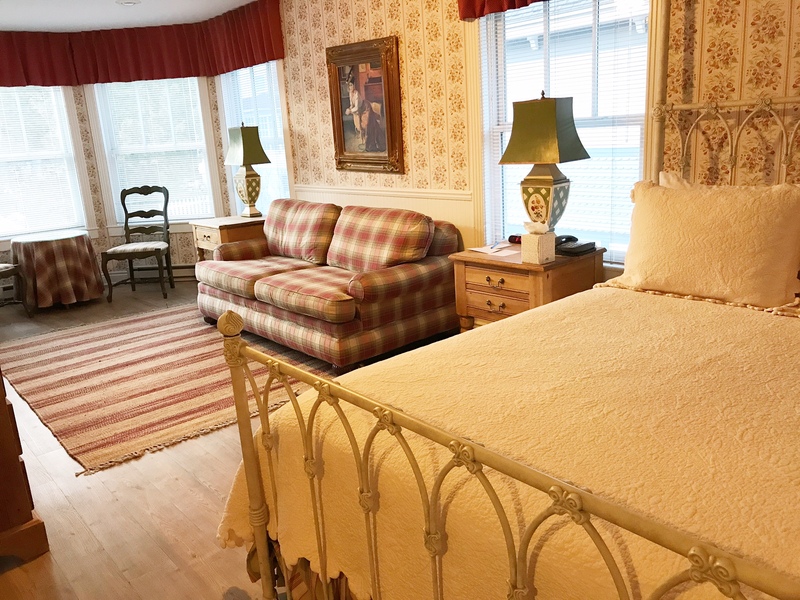 You will find that Fort Mackinac, Carriage Tours, Cindy’s Riding Stable, many restaurants and fudge shops, and the world-famous Grand Hotel are just a “hop, skip and a jump” from this lovely lodging. There are also many historic buildings in the Market Street area. 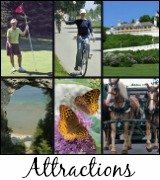 You can gain access to these buildings with the purchase of a ticket for Fort Mackinac. You will also find many small shops lining the streets. 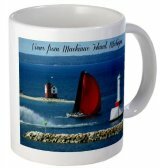 There is certain to be the perfect souvenir for everyone on your list in this active area! There are a lot of new updates at the Cottage Inn! All of the guest rooms have been renovated as of November 2017. 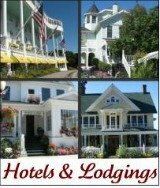 The Cottage Inn Mackinac Island boasts eleven rooms that vary in size from the Queen Rooms to the Mackinac Suite. Some of the rooms have connecting doors making suites with two bedrooms and two bathrooms possible; so bring the kids! The many updates will make your Cottage Inn stay all the more comfortable and relaxing. You will find luxury cotton Italian sheets covering new pillow-top mattresses on every bed. They have also added rainfall shower heads in the bathrooms. Other in-room amenities include flat screen TV’s with DVD players and a selection of movies, telephones, and ceiling fans. All rooms are air-conditioned and have private bathrooms. There is a place to safely store your bike if you bring your own to the Island. Additionally, internet access is provided for all guests at the Inn. 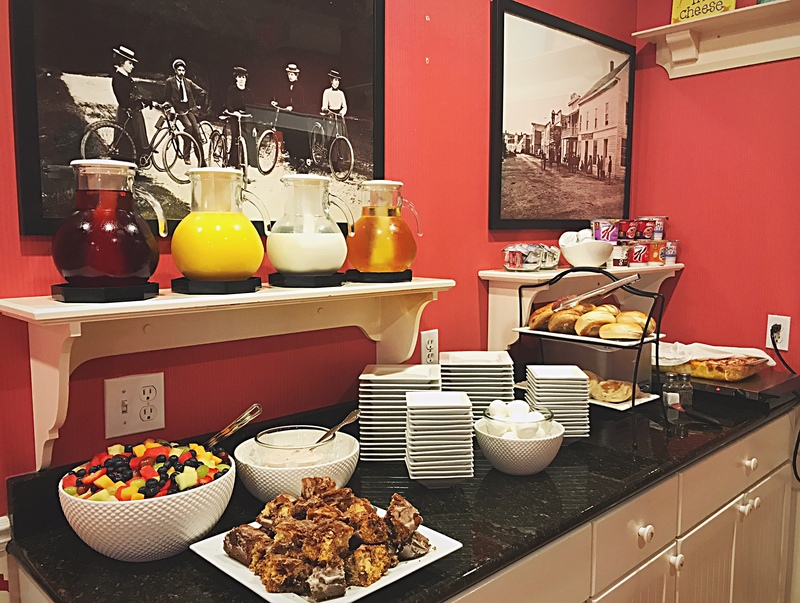 Be sure to start each morning with their delicious complimentary breakfast before you venture out to explore the Island. Many guests have mentioned their delight when they were offered an afternoon treat of peanut brittle, caramel corn and mint iced tea. Rumor has it that they offer warm brownies on occasion, too! 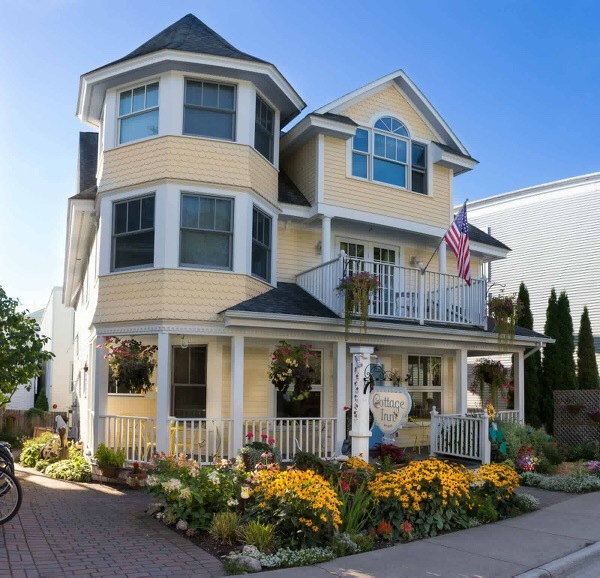 The welcoming warmth of this Inn will make you feel right at home on beautiful Mackinac Island. 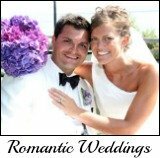 Contact the Cottage Inn directly for additional information and to place reservations Sunday through Monday 9:00am to 9:00pm. The Inn is open from April 28 - October 27, 2018. 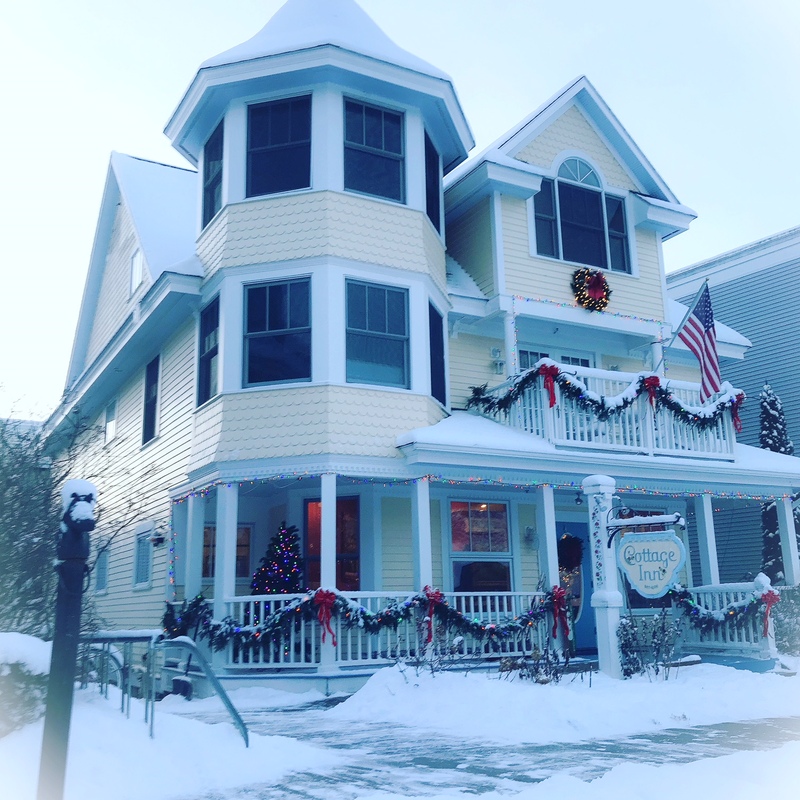 It will reopen for winter festivities from November 30, 2018 - January 1, 2019.
Insider Tip: The Cottage Inn offers personalized gift certificates. 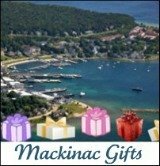 Be sure to inquire about this when you call and surprise someone special!